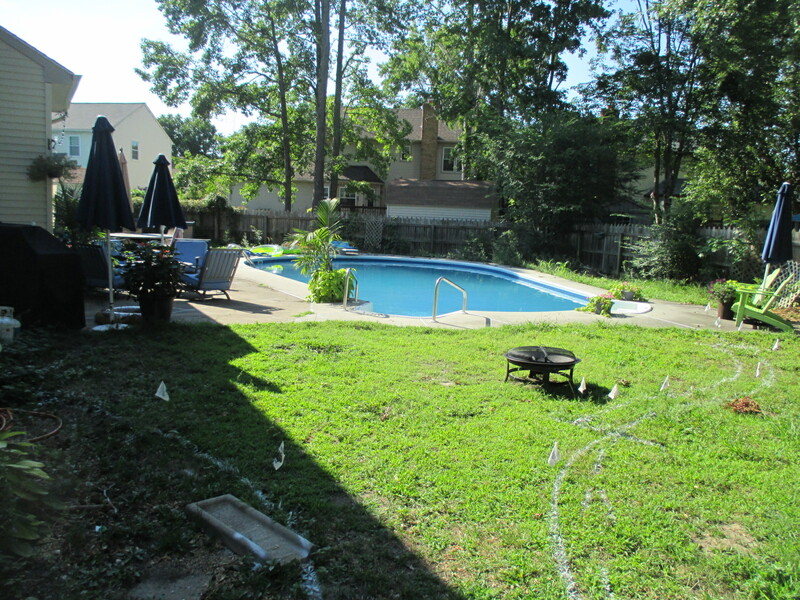 Backyard makeover project that included expanding the usable pool deck area and transition to the house with new pavers and a seat wall. 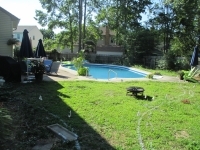 Re-grading the yard and installing sod. Re-landscaping around the fence perimeter. 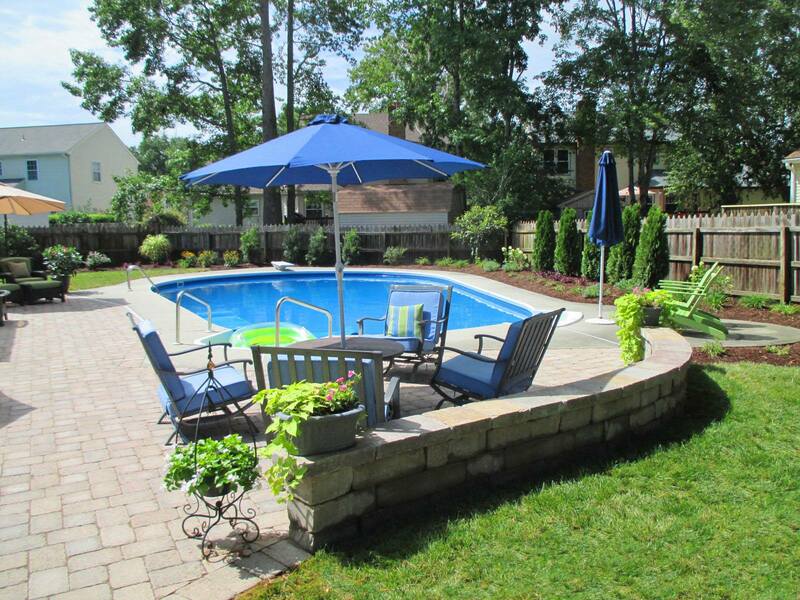 “We recently contracted Winesett Nursery and Landscaping to transform our neglected backyard into our backyard oasis. I really can’t put into words how satisfied we are with the result. From the beginning to finish, everyone involved has been so professional and kind. All of the staff from designers, landscapers, fence guys and paver guys are knowledgeable, experienced and talented craftsmen. True artists. I find myself stopping at my windows in the middle of chores, just to soak in the beauty of my backyard oasis. It’s all the extra little touches that were above and beyond that made me grateful that I chose Winesett to bring my backyard dream to reality. Eli listened to us closely to get an idea of what we wanted, gave professional opinions to help guide our decisions, and was patient with me as I changed my mind on the design until I was sure it was perfect. Once we gave the go ahead to start the work, it was completed in a timely manner. The workers were courteous and professional. I am so very happy with this transformation. The result is quality workmanship that will become the base for many years of happy family memories. It couldn’t have gone any better.” – Crissy L.